Himpunan Mahasiswa Gizi kesehatan FK-KMK UGM – "Bersama belajar, Bersama berkarya"
Founded on March 13th, 2004, it is expected that the Health Nutrition Student Association (Himpunan Mahasiswa Gizi Kesehtan – HIMAGIKA) can harmonize vision and missions of the student movement of the Health Nutrition Faculty of Medicine, Public Health, and Nursing at Gadjah Mada University in a directed and systematic stage. In addition, HIMAGIKA is a form of forum for students to channel their aspirations and develop themselves. The Health Nutrition Student Association (HIMAGIKA) FK-KMK UGM is a faculty level organization consisting of all active undergraduate students in the Health Nutrition Study Program. HIMAGIKA FK-KMK UGM is classified as a faculty-level Semi-Autonomous in the scope of the UGM Student Family of Medicine, Public Health, and Nursing (KMFK-KMK). 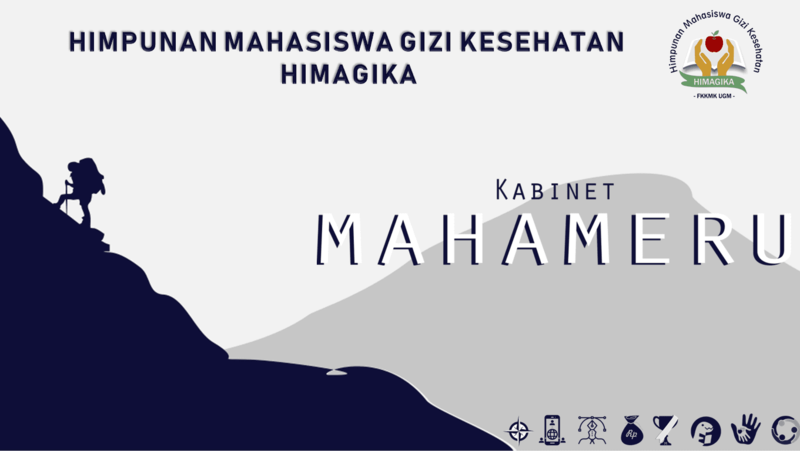 In terms of position, HIMAGIKA UGM is as HIMAPRODI which is directly in the line of coordination of the President Students of BEM FK-KMK UGM. Jalan Farmako, Sekip Utara, Yogyakarta.